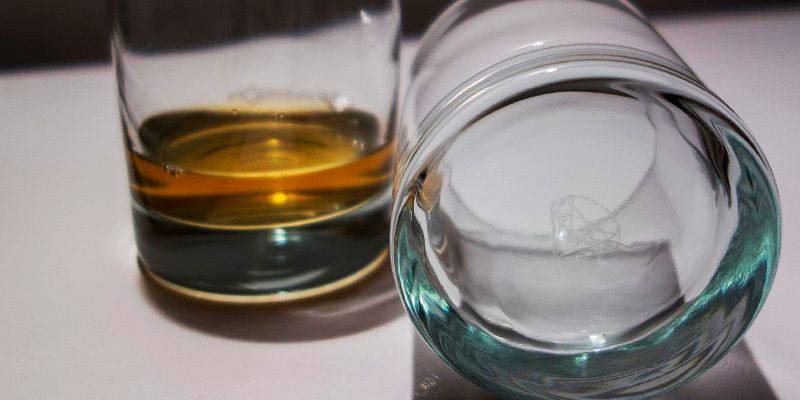 A unique glass shape couples with a lead-free ultra-clear glass to maintain the temperature of your whiskey and minimize hands-to-glass heat exchange. It's a bit inconvenient to wipe the glasses dry after washing. A finely crafted set of glassware from Ashcroft is an excellent choice for real connoisseurs of aged whiskey, scotch, and bourbon. You'll have a nice opportunity to share your favorite drink with your loved one or best friend. It is premium glassware for a premium liquor. You can purchase each of 6 glasses in a separate gift packaging, a wonderful idea when you need gifts for several persons. Due to the narrow rim, some ice stones won't fit into this glass. 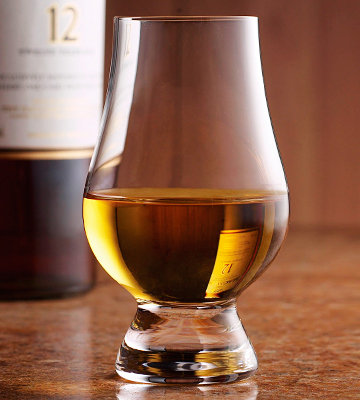 Any whiskey aficionado knows that a Glencairn glass is just right for tasting. Its specific design with a narrower neck allows the aromas and scents to gather and expose all the sweetness, sourness, and saltiness of this generous elixir not only to your mouth but also to your nose. 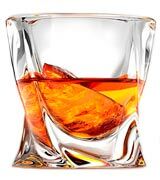 These rock glasses boast 10-oz capacity providing plenty of room to accommodate large-size ice cubes or reusable chilling cubes in your liquor. Some users might find this model rather heavy. Elegant and sophisticated, the Taylor'd Milestones glasses offer a timeless classic design to enjoy the premium quality aged liquor you like. Made of glass resistant to breakage, scratches, and chips, this set will not only add to your home bar but also be suitable for restaurants, public bars, and hotels. Cut glass stands out for exceptional durability and impressive resistance to scratches enabling you to use this set for years to come. The visual estimation of liquor color might be hindered by the ornament on the glass. A beautiful set complemented by a decanter is a great option to class up your life and serve the aged whiskey, brandy, scotch or bourbon in top-quality glassware those spirits really deserve. Impress all your guests with a traditional yet eye-catching liquor serving just like they did in old times. These small glasses are ideal for drinking whiskey, tequila, vodka, gin, and rum shots as well as whiskey-based shot cocktails and digestives. Due to small size, you can't add ice. The Kangaroo set will become a real find for any bachelor's party, friendly gathering or cocktail night to serve short drinks as an aperitif. Besides, shot glasses are great to measure liquors for mixed drinks and cocktails. Whether you host a winding party or want to have a sip of Limoncello after a family dinner, the Kangaroo set will come in handy. The Ashcroft glassware stands for quality, elegance, and beauty. The Twist Whiskey Glasses are not an exception. It’s a set of 2 gorgeous classical tumblers with a contemporary spin. The glasses extend from the bottom and twist through to the top. 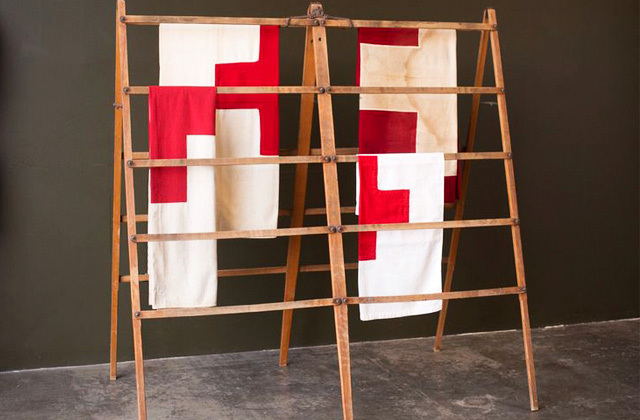 Not only does such shape add to the beautiful aesthetics but it is also functional. You can easily swirl the glass with your hand to add oxygen to the drink and unlock fine whiskey aromas and flavors. Fairly thick walls and a solid base maintain the drink temperature for a longer period of time and ensure sturdiness and stability. Hefty yet exquisite, these amazing tumblers will comfortably sit in small and large hands alike. 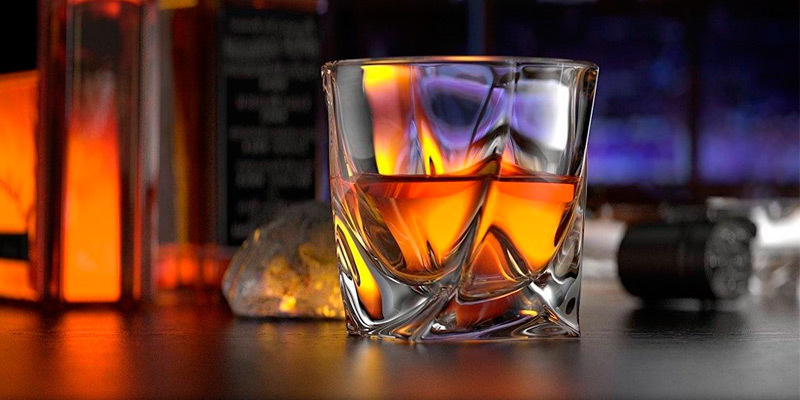 With a 3.3-inch mouth width and 8-oz capacity, the glasses can easily hold standard ice stones and whiskey cubes or balls enabling you to enjoy Scotch or whiskey on the rocks, drink it neat or taste it in nice cocktails. A design like this will bring all the whiskey aromas to your nose for you to savor the rich smell of your favorite spirit. Packed in an embossed gift box, these stunning liquor glasses from Ashcroft will make an excellent gift for a whiskey lover. Weighty and stylish, they are a fantastic addition to any well-stocked bar for entertaining and everyday use. Unlike crystal whiskey glasses containing about 20% of lead, the Ashcroft tumblers are flawlessly crafted from high-grade Borosilicate glass that is 100% lead-free. 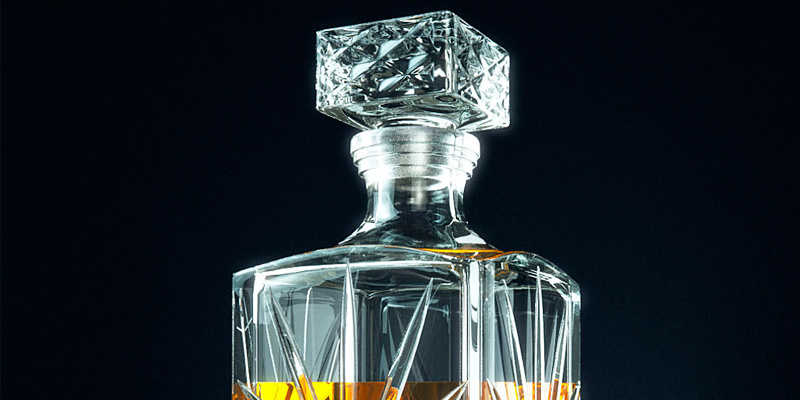 As a result, you have an ideally shaped ultra-clear vessel to fully appreciate the unique color and unmatched taste of blended or single malt whiskey. Moreover, in the Ashcroft tumbler, your drink will remain cool much longer, thanks to minimal hand-to-glass heat exchange. Whiskey, Neat or on the Rocks? 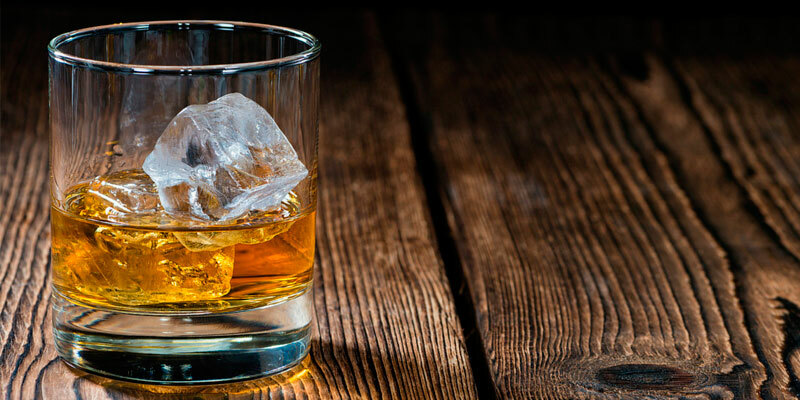 When it comes to bourbons (corn based liquors) or blended whiskey types (a well-balanced combination of grain and malt whiskeys), the ice does not affect their flavor and taste too much. Besides, these spirits are not characterized by complex aromas, hence, you will hardly spoil their taste. In addition, the ice will melt and dilute your drink giving you an opportunity to enjoy it for a longer period. 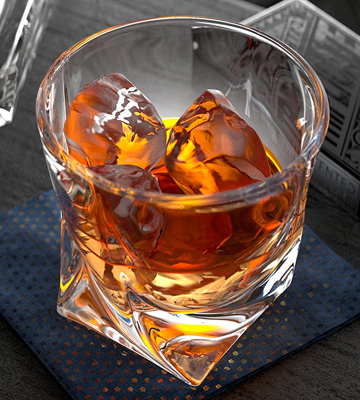 The ice in a single malt whiskey or scotch will blur its unique flavor and aroma. Premium malts are renowned for one-of-the-kind recipes and can be aged for over three years to enhance their taste to the maximum. The most essential about malt whiskey is to avoid its overcooling. An optimal temperature for the malt whiskey to open its rich flavor is 10⁰C (50⁰F) and higher. Many fans of such elite drinks as whiskey, brandy, and cognac prefer enjoying a glass of their favorite spirit and smoking a premium tobacco cigar. However, not all of them know that it is necessary to store cigars under specific temperature and humidity conditions. This is where one of the cigars humidors will come in handy. 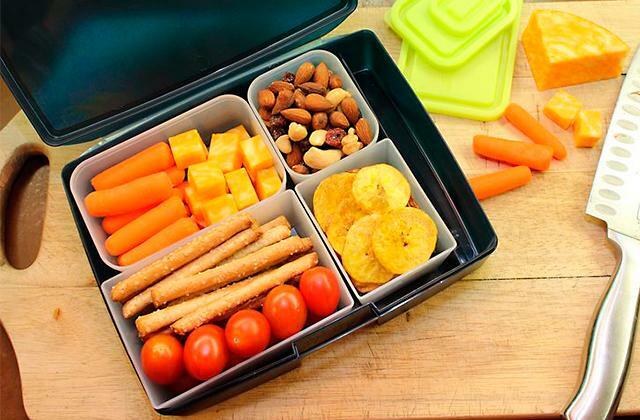 It will help you store your cigars in a right way for a long time. 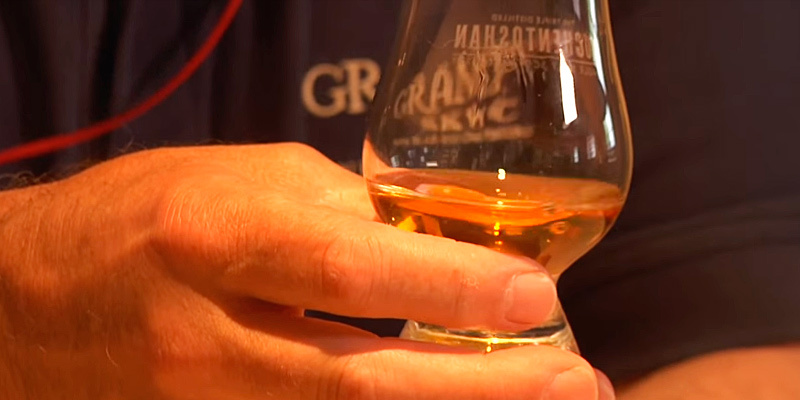 “Like a good whiskey, this glass has plenty of character” - this is what most whiskey lovers think about the Glencairn. And for a good reason! Rather wide at the bottom, the vessel narrows to the top reminding a tulip flower. This traditional shape is just perfect for premium-class aged blends and malt whiskey types. A wide bowl allows for the fullest appreciation of the whiskey color while the narrow mouth concentrates all the complex aromatic elements of whiskey for a great nosing experience. Made of lead-free crystal glass, the Glencairn boasts ultra-clarity and superb sturdiness, being absolutely safe to drink from. A solid base creates a comfortable grip designed to minimize the contact between your hands and the bowl to avoid whiskey heating. With a 4.5-inch height and 6-oz capacity, the glass even lets you add a couple of thin ice cubes if you are in the habit of using ice. 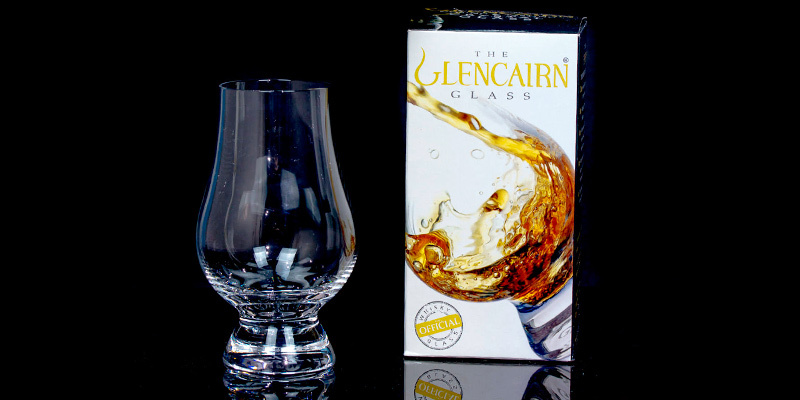 The Glencairn glasses come in a set of 6 pieces. It is ideal for drinking a bottle of Windsor with family or friends and it will add flair to your evening ritual of enjoying a single malt. With the Glencairn glass at hand, you have the right glassware for nosing and tasting a whiskey the way it is done by master blenders and real connoisseurs. Below, you will find five basic steps (named “5S”) that will help you appreciate whiskey quality and become a pro. Sight: Different colors of whiskey, from gold to bright copper and rich amber, indicate the type of oak cask used and the length of maturation. Today, many manufacturers add some coloring agents to get the right color. To check the purity of the whiskey, pour it into the glass and shake it a bit. If the liquor coats the sides of the glass and slowly drips down, your drink is of high quality. Smell: As a rule, premium blends and aged single malts feature a range of different aromas including chocolate, caramel, fruit, nut, smoky, and floral flavors. Before nosing, it is recommended to swirl the whiskey in the glass slowly and carefully. Swish: Make the first sip, hold the drink in your mouth, and let it cover all your taste buds. If you feel a rich flavor palette it means you taste top-quality liquor. Swallow: When you swallow the drink, it should leave a slight finish on the palate. 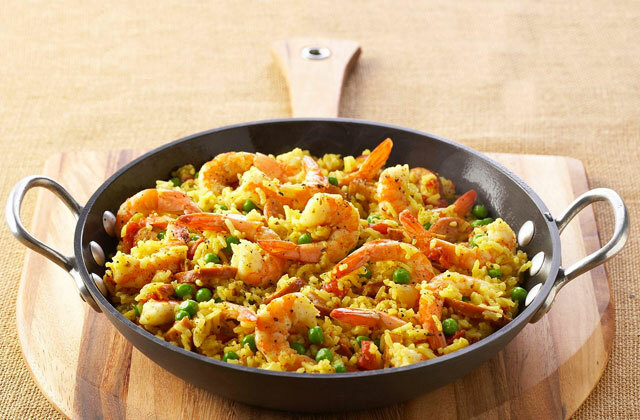 It could be an intense taste that will suddenly strike your taste buds or a long lingering taste you will enjoy. Splash: This tasting method works only for the whiskey with the alcohol content over 50%. Add some clear water to the glass with whiskey and you will immediately feel the aroma concentration, especially when using the Glencairn glass. The Glencairn glasses come in a nice gift box that makes this set an ideal gift for all whiskey, bourbon or scotch lovers. Moreover, you can order the glasses individually wrapped and boxed when you need several gifts for several people. What a nice option! Are you hosting a dinner or arranging a romantic evening for your loved one with a bottle of Chardonnay, Cabernet, or Pinot Noir? Then do not forget to get the right wine glasses. 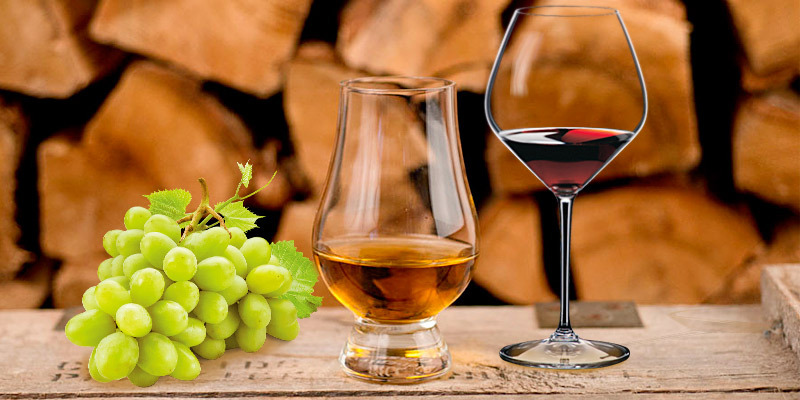 Just like whiskey glasses enhance whiskey flavor, the proper type of a wine glass matching your favorite wine will help enrich delicate wine aromas and expand its bouquet to the maximum. 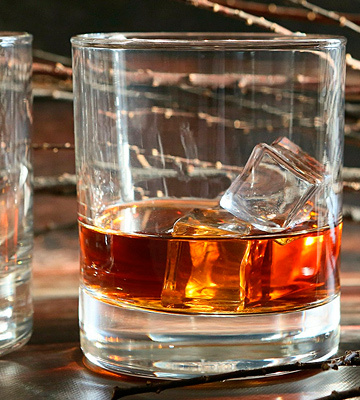 For real whiskey aficionados and enthusiasts who have just acquired a taste for this elite drink, there is hardly anything that can compare to a glass of an aged scotch, bitter cognac, or smoky bourbon to relax at the end of a busy day and shake off the stress. A good glass will add to your drinking experience and leave lasting impressions. This is what the Taylor'd Milestones “No.1 Classic” Scotch Glasses are all about. The manufacturer offers timeless traditional design for a timeless elite drink to please the most sophisticated and refined palate. In a set, you will get two classic tumblers. 10-oz capacity provides ample room for ice balls, ice cubes, or whiskey stones without sacrificing too much space for the liquor. 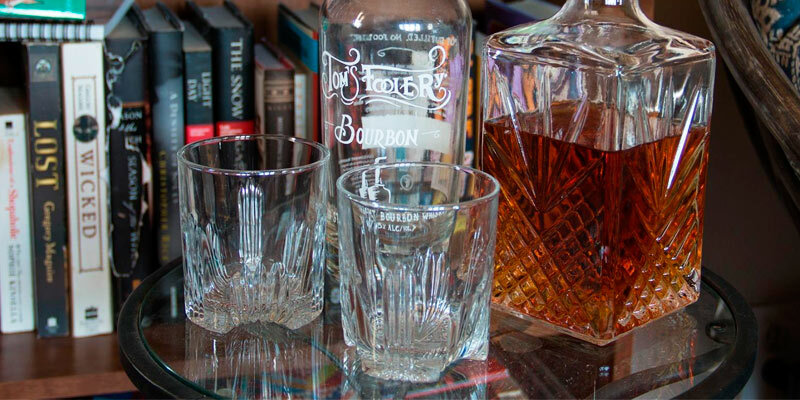 Hence, whether you like your whiskey or brandy neat or with some ice, these beautiful glasses are just what you need. Besides, they are perfect for whiskey-based long drinks and cocktails as well. 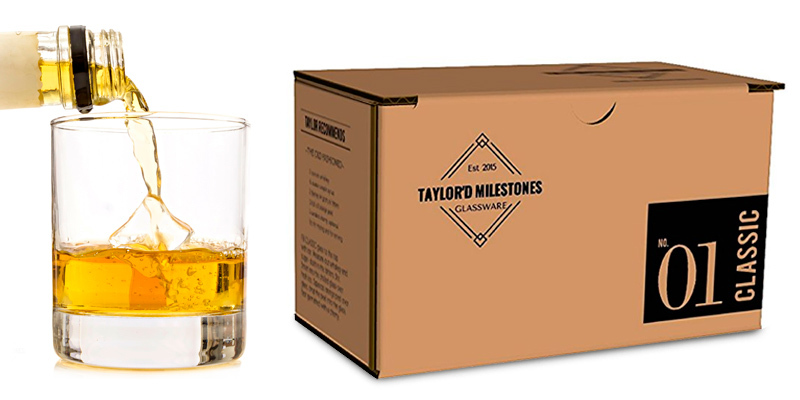 With the Taylor'd Milestones tumbler, you can serve anything from classic whiskey smashes and a variety of punches to a traditional whiskey sour, Manhattan or Julep, impressing all your guests with excellent mixing skills. Made of strong, crystal clear, lead-free glass, these “No.1 Classic” tumblers feature thick sturdy base and thicker walls to ensure that your drink will hold the desired temperature longer. The glass weight is just perfect giving a nice solid feel when you hold it. 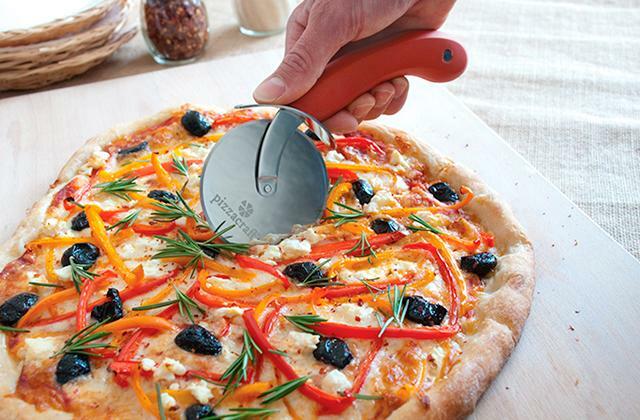 For user convenience, there is a very subtle convex contour ensuring a comfortable and secure grip. Meanwhile, an added layer on the rim feels nice when drinking. 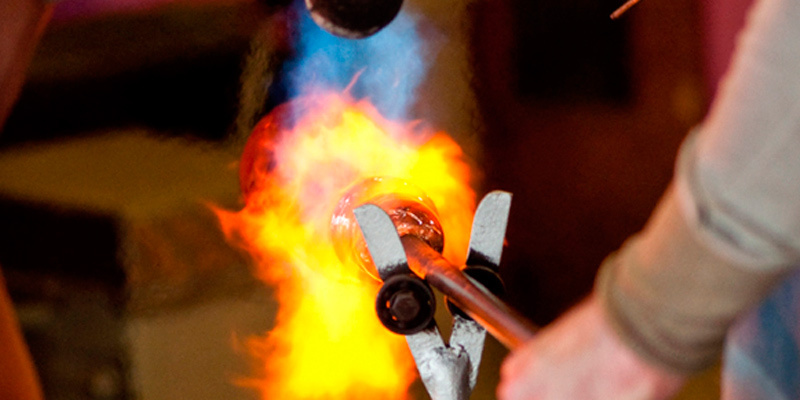 Meticulously crafted in America, these glasses meet all the highest quality standards in manufacturing. The Taylor'd Milestones tumblers are of the time-proven classic design with a hefty base and straight lines that look elegant and sophisticated adding a touch of style to your home bar. On top of that, a little diamond engraved on the bottom of each glass symbolizes luxury and top quality bringing a special flair to the overall style. Not only are these gorgeous glasses great for home use but also they will become an exquisite gift for whiskey fans, newlyweds as well as a housewarming or host gift at a dinner party. The “No.1 Classic” set comes securely packed in a carton box. Though glasses are thoroughly wrapped and the risk of damage is minimal, in case you receive a broken or cracked glass, the manufacturer will replace it for free. All you need is to make a photo of the damaged item and send it back to the manufacturer. In addition, you can register on the company website to get exclusive news about the products for your favorite drinks. The Taylor'd Milestones customer service is really up to the mark! Made of first-class glass resistant to scratches, chipping, and breakage, the Taylor'd Milestones tumblers are dishwasher safe. Hence, cleaning them is a breeze. The lovers of whiskey and other premium liquors regard drinking as a kind of ritual. They enjoy not only unique flavors and aromas of elite drinks but also the whole process that starts from uncorking the bottle and ends up with nosing and making the first sip. In this case, the glass style and look are no less important than its shape and design. At a glance, the Selecta set of whiskey glasses from Bormioli Rocco sends you back to those old British mansions where noble lords were served by the butlers, drinking noble drinks, smoking cigars, and talking about politics. Designed in a vintage style, the set includes six classic rock glasses and an elegant decanter with an ornate starburst pattern. 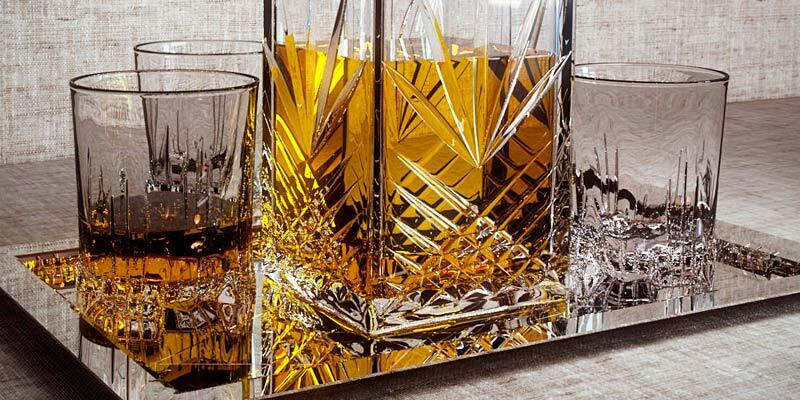 It will look gorgeous on a mirrored tray, granite counter, or mahogany side table allowing you to class up the way you drink whiskey and join in the traditional drinking ritual at the atmosphere of your modern home. Made of first-class cut glass, the Bormioli Rocco glassware is weighty and feels solid to the hand. Precisely cut patterns on finely shaped tumblers ensure comfortable and secure grip while a unique ribbed base contributes to the glass sturdiness and stability. 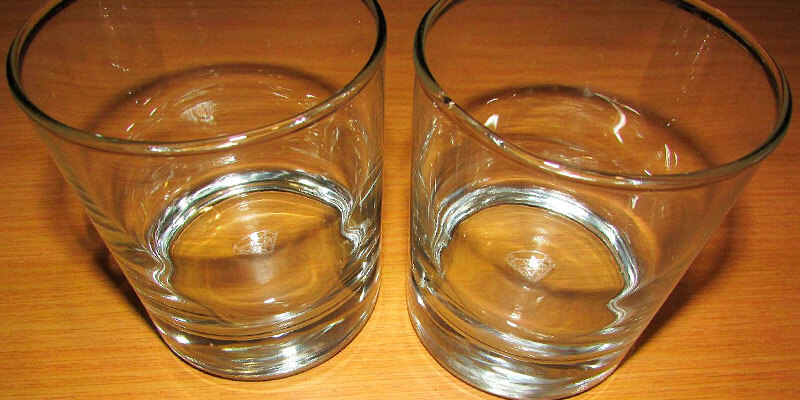 The glasses are just the right size (9.5 oz) both for a small neat whiskey and for a scotch or bourbon on the rocks. Meanwhile, a decanter will make a perfect home for your favorite Bushmills, Jameson, Windsor, or other drinks. This set gives any drink a distinguished taste. Of course, you can serve whiskey right from the bottle. However, this premium liquor definitely deserves to be served in a more exquisite way. Serving it in a classic decanter on a tray along with tumblers, you will not only pay respect to the old tradition but also impress all your guests. It’s notable that a 33.75-oz decanter comes with a plastic stopper to lock all the scents and aromas inside and keep the rich flavor of a noble drink. 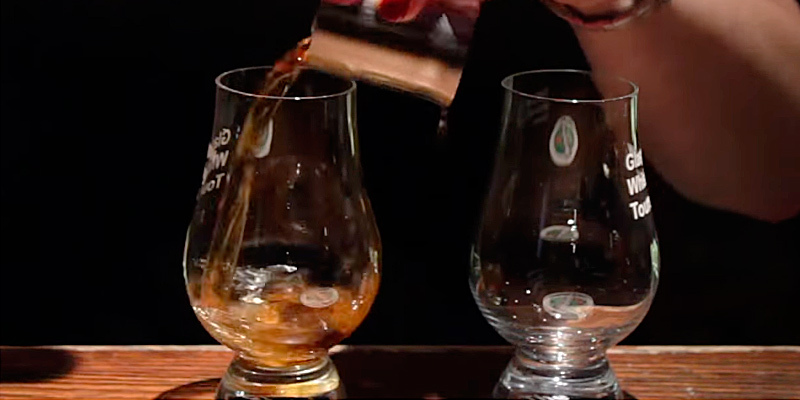 If you wonder whether whiskey can get spoiled in a decanter, do not worry. Be it an expensive single malt or cheaper blended whiskeys, you are safe to store it in this decanter for months without compromising the taste. Drink in style with Bormioli Rocco! Put an empty decanter to the fridge for some time to cool it down and then fill it with whiskey. The liquor will be enriched with oxygen that will improve its taste and flavor. Meanwhile, in a cold decanter, your whiskey will remain cool for longer. Imagine the situation when you pour a glass of your favorite malt or blended whiskey and want to sip it leisurely when sitting in the armchair and chatting with friends. But a cool drink will quickly get warm in a glass you hold in hands, and those amazing bitter, salty, smoky, and sugar scents all whiskey enthusiasts appreciate so much will vanish. In a vessel of cut glass, this won’t happen. Owing to its low heat conducting properties, cut glass will keep your drink cool allowing you to taste it neat without adding ice. Cut glass is less prone to scratches and more resistant to damage and breakage. Hence, the glassware made of cut glass will look brand new longer and will serve you for years to come. 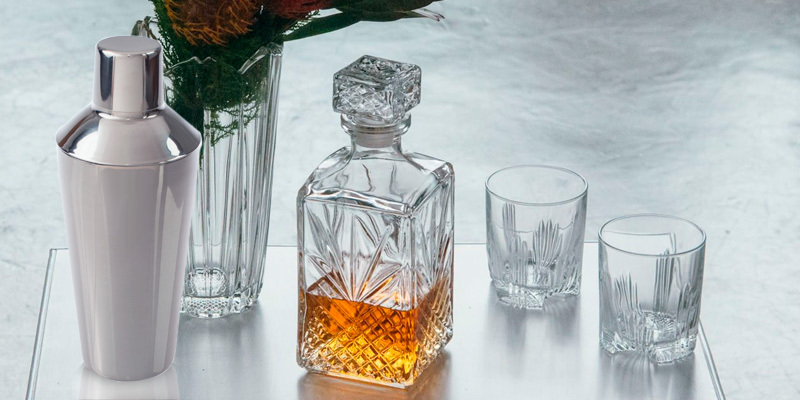 Due to its exceptional durability, cut glass vessels are often decorated with some patterns and engravings giving the glassware an elegant and luxurious look. For this reason, the cut glass glassware is often used for setting a festive table for some celebration or special occasion. Bar Quality Cocktails at Home? No Problem! Whiskey is the king of classic cocktails. If you like sweetish punches, old-fashioned Irish espresso, sparkling John Collins, or refreshing Mint Julep, with a cocktail shaker at hand, you can mix all these and many more craft cocktails at home. 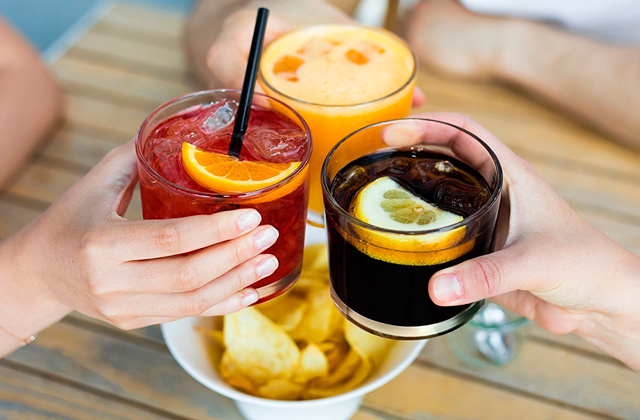 Imagine yourself a bartender and combine the ingredients precisely following time-proven recipes or create your own unique blends to impress all your guests with your mixing skills and treat them with signature home drinks. The Kangaroo set includes 4 small 1.5-oz shot glasses (also called shots). They offer a completely different way of drinking strong alcoholic beverages like whiskey, tequila, or rum. Unlike the Glencairn meant for tasting or tumbler ideal for sipping whiskey on the rocks and cocktails, the shot is designed for drinking spirits in one go. The Kangaroo shot set will add to any home barware and come in handy at any gathering or festive occasion, be it a big birthday, bachelor's or Halloween party, a cocktail or game night with friends and family, or a simple get-together in a welcoming home atmosphere. Besides, all keen home bartenders can use the Kangaroo shot to measure liquors and other ingredients for mixed drinks. 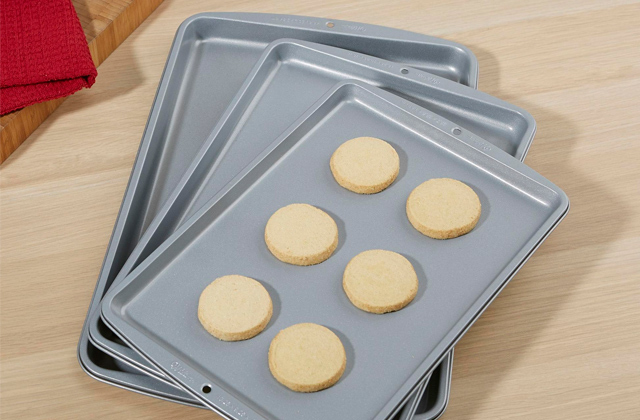 Despite their small size, the shots made of solid glass and featuring a hefty thick base are durable and sturdy, which is essential to prevent skidding and breakage during big noisy parties and celebrations where everybody has fun, dances, and jumps up. 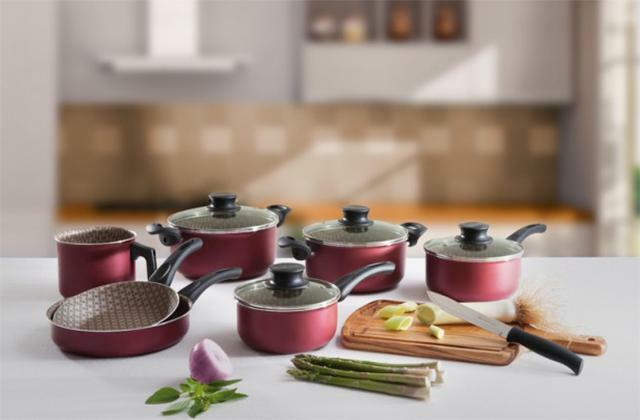 Dishwasher safe design will make cleaning a breeze while high-quality glass is scratch and chip resistant ensuring your shots will look brand new even after numerous uses. Perfect for home use, the Kangaroo set is a great gift, especially when it is complemented by a bottle of elite liquor. To make a personalized gift, you can even etch the glasses. What Whiskey Types Make the Best Match for Shots? Surely, it’s a matter of individual taste. You can choose the type of whiskey and the way you drink it to your liking. However, professional whiskey tasters do not recommend drinking single malts or aged whiskeys at a gulp since you will miss an opportunity to enjoy the whole palette of rich scents and aromas. The best for shots is a good blended whiskey. Shot cocktails are meant to provide an almost immediate effect. That is why shots are usually mixed from rather strong spirits like vodka, absinthe, gin, rum, and whiskey. If you are hosting a friendly gathering, bachelor party, cocktail party or arrange a kind of a shot drinking tournament, a popular shot cocktail named Anaconda will become a decent finishing drink for an awesome evening. 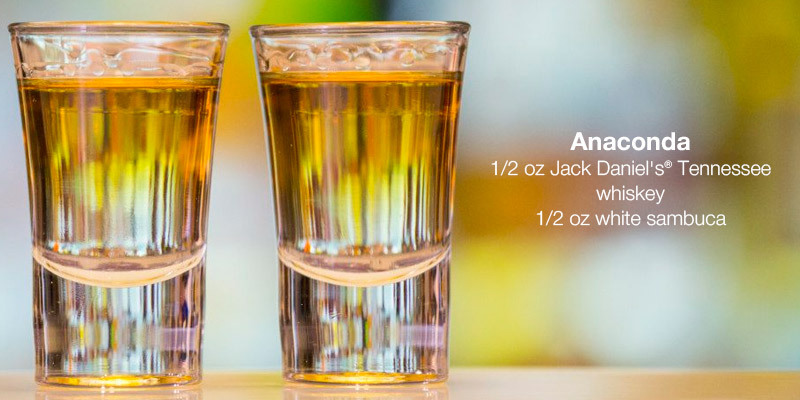 All you will need is 0.5 oz of whiskey and 0.5 oz of white sambuca. 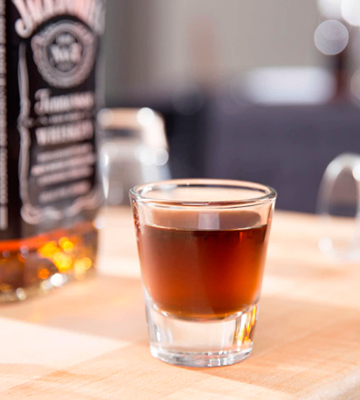 Experienced bartenders strongly recommend using Jack Daniel’s whiskey for its unique mild aroma. First, pour the whiskey into a shot glass and then slowly add white sambuca. Strong licorice flavor of sambuca will enhance delicate whiskey taste leaving a gentle finish on your palate. You can serve this cocktail by build method in a shot or mix it with ice in a cocktail shaker and serve in a larger glass. Do you ever wonder how to have fun with family or friends on a Saturday evening? Arrange a home poker tournament! Poker night will be more realistic if you play at a dedicated poker table with a good set of poker chips. Figuring out the opponents’ leads and studying all the nuances of the game, you will tailor your gaming skills to perfection and add a professional touch to your gaming experience. Meanwhile, a glass of premium whiskey will be a great attribute to your gambling night. Place your stakes and win! Whiskey is a type of an alcoholic beverage made from fermented grain mash. Typically, to get that distinctive oak scent and specific bitter and sweet taste, whiskey is aged in wooden barrels usually made of charred white oak. For centuries, this finely crafted liquor has been loved by millions of people worldwide. Today, any whiskey enthusiast or a real connoisseur knows that premium whiskey needs to be served in the right glassware to fully open its unmatched aroma and let you discover all the shades of its unforgettable flavor. Whiskey glasses come in different shapes and styles. Below, we’ve picked 5 most popular products to help you make your way through a vast variety of whiskey glass types. 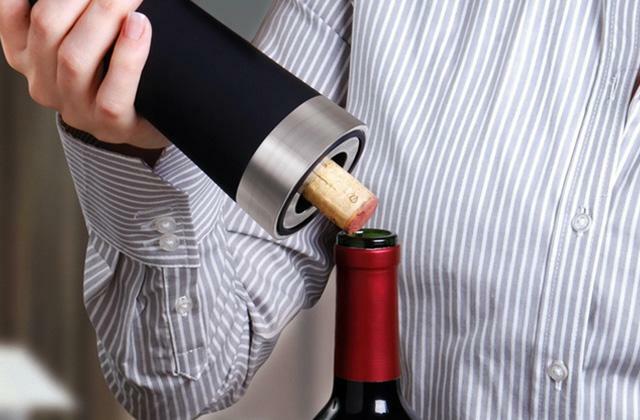 All wine buffs will definitely appreciate having in their arsenal one of the electric wine openers to uncork the bottles with ease. Meanwhile, a wine aerator will help enrich the wine with oxygen to expand its bouquet to the maximum. Tulip-shaped glass is an excellent vessel for tasting premium single malts highly praised by all master distillers, blenders, and true connoisseurs of whiskey. Its shape reminds of a tulip flower bud on a slim long stem. Thanks to a narrowed rim, all aromas are directed to your nose allowing you to discover all the nuances of an aged oaky spirit. The glass volume is usually up to 8 oz. 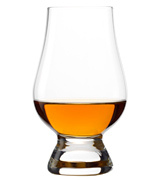 Glencairn is similar to the tulip-shaped glass and channels aromas towards a narrowed rim. 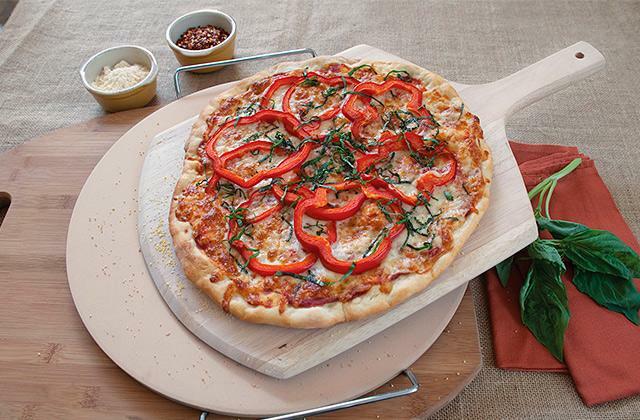 However, instead of a delicate stem, it features a shorter solid base for better stability. Made of slightly thicker glass, the Glencairn is a more robust vessel suitable both for convivial drinking and for leisurely sipping your favorite whiskey or bourbon at the end of a day. It’s also perfect for swirling whiskey to enhance the smell and taste. 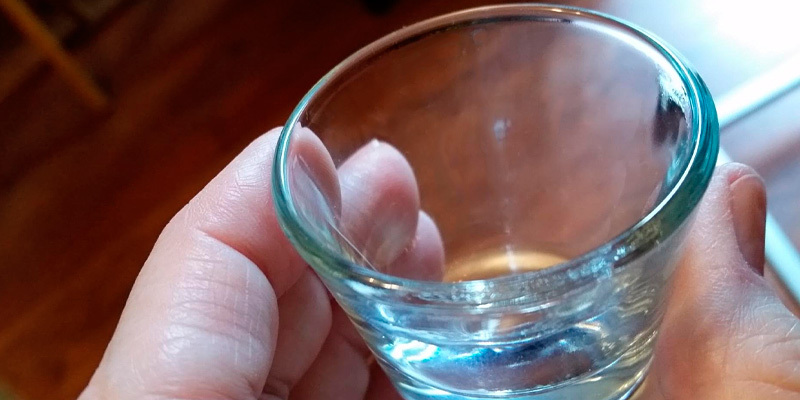 The glass volume varies from 4 to 8 oz. Tumbler is one of the most common of all whiskey glasses. Due to its wide rim and straight thick walls, it is the best option for drinking blended whiskey on the rocks or serving up a number of classic whiskey-based cocktails. 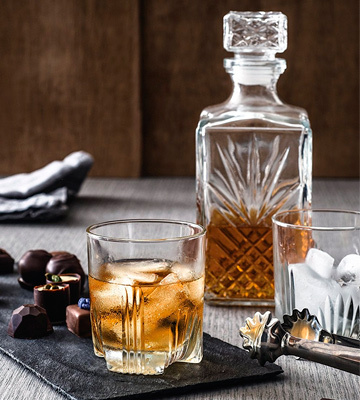 As compared to previous glass types, the tumbler volume is large enough (up to 10 oz) to hold ice cubes or whiskey stones. 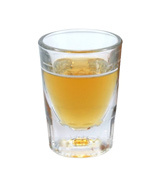 Shot glass is a small-volume (up to 2 oz) vessel with a thick base for drinking neat whiskey at a gulp. There is no enjoying the oaky richness and smoky aroma, just whiskey. This type of glass is one of the most popular in a bartender’s arsenal and is ideal for mid-price whiskey varieties. As a rule, whiskey glasses are sold in sets of 2 to 8 pieces allowing you to lay the table for dinner or treat all your guests during a friendly gathering or party. Good glassware should be made of high-quality glass containing no toxic components and ensuring ultra-clarity for the drinker to enjoy not only the taste but also the color and consistency of a premium spirit. 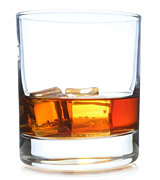 Crystal glass is the most common material for whiskey glassware. Owing to its low heat conduction, crystal glass will maintain cool whiskey temperature longer even when you hold the glass in your hand. You can also come across the models made of cut glass that will become an eye-catching addition to your home bar. 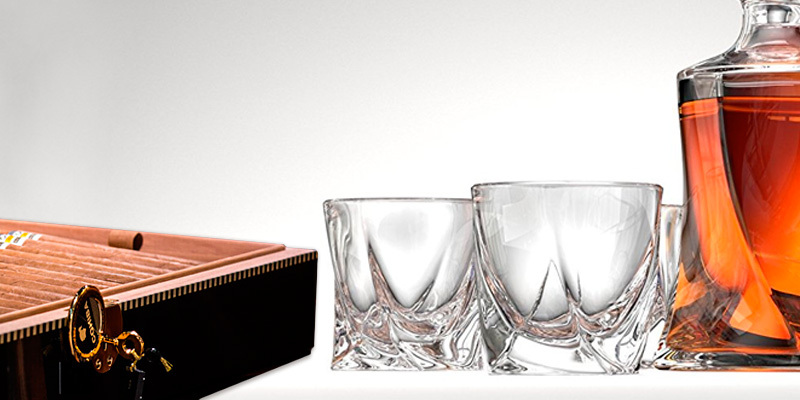 Available in a variety of types and delivered in sets, modern whiskey glasses often have specific features setting them apart from other models. Thus, some glass sets come complete with a decanter for showy serving. 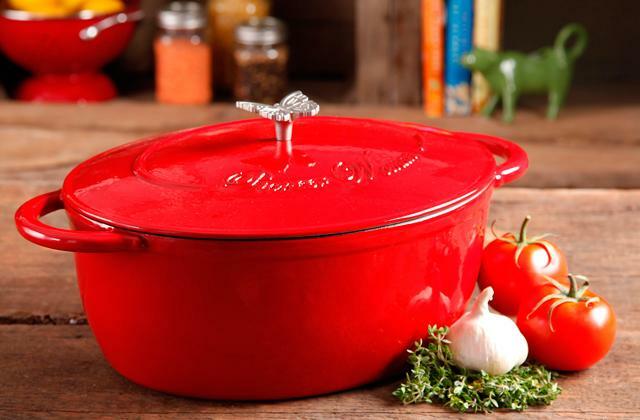 A dishwasher safe design is a real benefit that will significantly facilitate cleaning and drying. 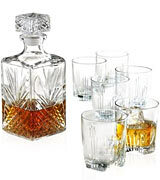 A set of stylish top-quality whiskey glasses is a great idea for a wedding, Christmas, anniversary, or birthday gift. 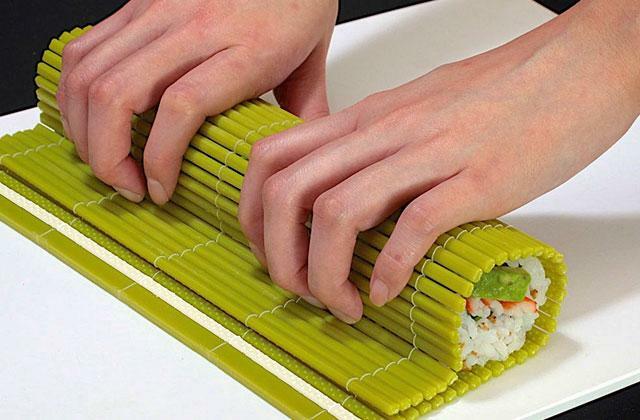 Hence, an attractive gift package will come in handy. 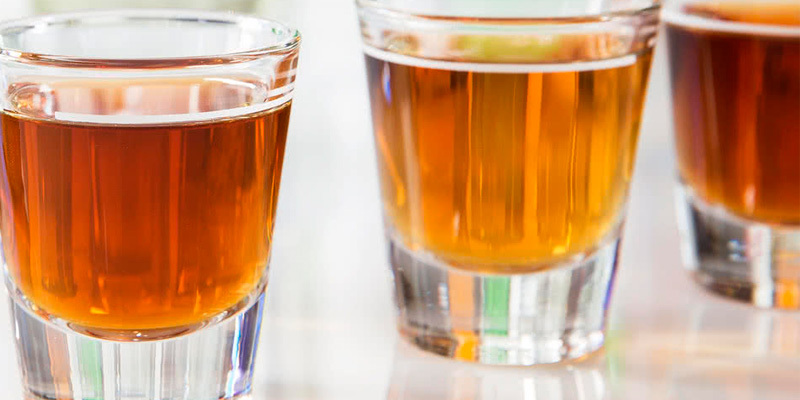 Q: Does the glassware matter when drinking whiskey? A: It does. When you drink aged whiskey or single malts proper nosing is a must to feel not only the taste but also the unique smell of an elite drink. In its turn, proper nosing requires the glass with a rounded bowl like a tulip-shaped glass or brandy snifter. Meanwhile, straight-sided rocks and shot glasses work well for drinking blended whiskey and less expensive types neat, with some ice or in cocktails. At the end of the day, you can choose the glassware to your personal liking and needs. Q: Are there standard whiskey glass dimensions and capacity? A: Whiskey glasses come in different shapes and sizes, there are no standardized dimensions for this glassware. Normally, capacity ranges from 1.5 oz for shots glasses to about 8 oz for traditional rock glasses and over 10 oz for tumblers and highball glasses. 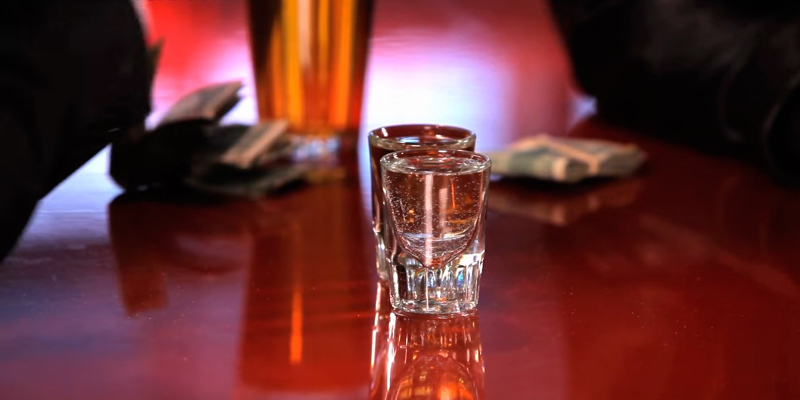 The size of glassware depends on the way you drink whiskey. Shot glasses are perfect for drinking blended whiskey at a gulp, traditional rock glasses are meant for drinking premium malts neat or on the rocks while bigger tumblers and highballs are great for a variety of cocktails. Q: Is lead crystal glass that harmful? What are the major cons of lead crystal glass as compared to lead-free crystal glass? A: Normally, when we say crystal we mean lead or mineral glass containing lead oxide. Due to its ability to be spun thin yet still remain quite strong, crystal glass is widely used for wine and whiskey glassware manufacture. However, today, when the health consciousness is high, many manufacturers tend to use lead-free crystal glass that is usually made with magnesium and zinc and contains no lead oxide. In terms of quality, both types can be crafted into fine glasses. Lead-free crystal glass is extremely durable and, usually, it is dishwasher safe. When it comes to health safety, it’s worth saying that potential harm that lead crystal glass can do to your health is a bit exaggerated. Actually, it is not that dangerous since the drink is not exposed to the glassware long enough to leach lead. It happens only in the case of long-term storage. For example, when you store whiskey in crystal decanter for over a week. So, simply try to avoid using crystal glassware to store spirits. Q: Do I really need to swirl my whiskey in a glass? You can have a look at whiskey’s legs (those drips forming when the liquor flows down the sides of the glass) to check the quality of the drink. Slower moving and heavier legs indicate an older whiskey. Another reason to give your whiskey a spin is to promote evaporation that will direct whiskey aromas to your nose. Of course, evaporation will occur without your help either but a quick swirl will speed up the process. In short, swirling is helpful. Just remember to swirl delicately and refrain from inhaling aromatic vapors too sharply to avoid harsh ethanol burns. Q: Does adding ice to whiskey spoil or improve its taste? A: It is entirely a matter of individual taste and choice. If you like milder flavors, you can add some ice, soda, or mixers. Yet, when it comes to aged scotch or elite malts, the recommendation of whiskey fans is to drink it neat. 1. Types Of Whisky, Jonnie Walker. 2. Daisy Cuinn Types of Whiskey Glasses, LEAFtv. 3. How To Taste Whisky, Master of Malt. 4. How to Drink Whiskey, wikiHow. 5. Whisky, Wikipedia. April 21, 2017. 6. 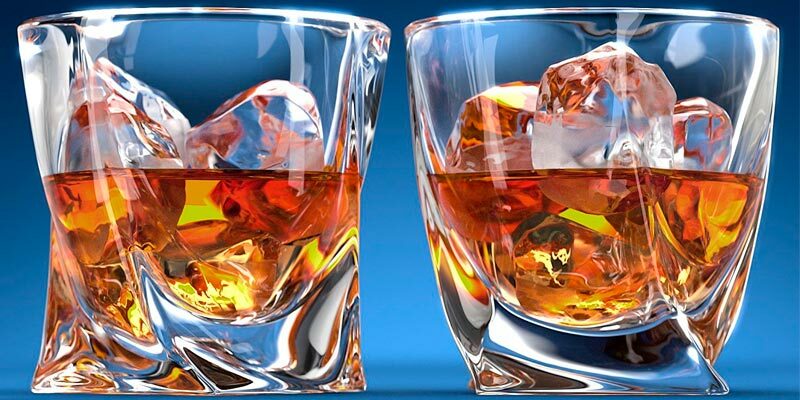 Types of Whiskey Glasses, WebstaurantStore. March 20, 2017. 7. 27 Amazing Whiskey Cocktail Recipes, bon appetit. December 17, 2015.